Tony Roelich, Dave Clasby (minutes), Martin Aldred, Ian Care, Dave Waldram, Ian Alexander (Chair), Lucy Care, Ruth Holland, Ian Dent. Jenny Schofield, Martin Aldred, Les Sims, Al Ditheridge. Minutes of August meeting were agreed. Cyclenation subscription based on membership number which is 220 which decides our subscription. It represents 10% of our annual income. Concern expressed that it is a large %. +ID to comment to Cyclenation on this. +Lucy to put up some pics too. National guide for taking bikes on trains. New logo from JS was discussed. Need to have capitals for DCG. +Members to send JS thoughts on logo. LC emailed to say that we are happy to support but no one willing to take it on at the moment. +LC to do something for the newsletter. +LC to let group know when she is going. DC wrote letter of support from DCG fro DCC for funds to build cycle route from Spider island to Victory Road. DCC wanna close cycle path by Silk Mill and Cathedral Green for the weekend. Consider the swing bridge as a possible solution. +TR to look at email and respond. Developments going ahead, closed road circuit going ahead. Concern over how people will get there, want make sure people going on bikes. Need to play on Olympics and support the council. +DC to write to DT re increases in walking, cycling and public transport. TR to contact Nick Moyes re plan for closed road circuit. Team have been appointed and start in mid Sept.
New transport minister lives in Quarndon so we should do something. Agenda item for next time. +TR to send a well done leaflet. A schedule of possible rides. Pedal Powered Party, send out an email to all members. DW will do a stall at the event. JB to do help out on stall. TR to bring membership forms. Our time slot is 4pm but can ride anytime. 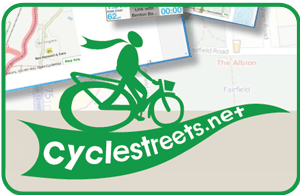 Two weeks time at Brunswick Tues Sept 18th7:30pm to chat about organising a ride programme. IA to book room. +DC to email local schools with info on the ride on Sept 23rd. October 2nd 2012. 7:30pm The Brunswick.